You can download FlightGear 2018.3.2 at sourceforge.net. I'm happy to announce the fact that despite the restriction that we can only run one FDM, it is now possible to use the Shuttle to fly to ISS from launch to docking . This has been one major missing ingredient in the simulation so far. (we've only provided a mockup of ISS being initialized right ahead of the spacecraft for docking practice). The viable solution is to let the orbiting object move on an analytical orbit corrected for the leading J3 gravity effects, compute a rendezvous solution to that and switch to an explicit simulation of full orbital dynamics only when the space station is close. This works with an accuracy of < few hundred meters and < 2-3 m/s, which is to say within numbers that can be corrected in the final approach phase with relative ease. So for everyone who's been asking the question when we can finally do a full rendezvous - the answer is: Now. — Thorsten Renk (2019-01-18). Visit ISS. He posted some impressive screenshots of the approach as well. You may need to download the development version to use all these fancy new features before it gets copied into FGAddon. 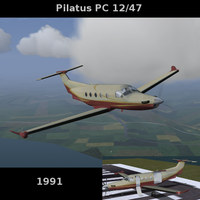 The target was Pilatus PC-12 NG with the glass cockpit using what I found similar enough and I managed to make it work good enough. Check out the recent retrofit of the FG1000 to the Piper J3 Cub and the PA-18. User wlbragg pushed more updates like a shadow cube, 3D artwork, GUI-edits, rain on windshield and started a fuel system. Available in the development repository and in FGAddon trunk. ASG29: improvements to Cockpit, model and winch operations. Harrier-GR3: auto-hover, contributed by cgdae. it0uchpods added new failures and LSAS Pitch Attitude Protections, DUAL/SINGLE LAND, CLAMP, GO AROUND AFDS OVRD , gear/flap over speed automatic flap limit, Autopilot disengage warning (push ATS DISC button on throttles second time) to the PFD of IDG-MD-11X. The IDG-A32X got an overhauled autopilot disconnect warning as well as new dome and panel floods. There have been multiple bugfixes to the flybywire and flight control systems. 2018.3.1 will become the MINIMUM required FG version for any IDG Aircraft VERY soon. This month the AI Team provided updates for Norwegian airlines, ELAL Israel, Swiss Air, Helvetic and AirBaltic. New traffic timetables have been written for Volotea and Edelweiss Air , AirCorsica, Binter Cabo Verde, Binter Canarias and CanaryFly. The need more contributors to make AI liveries here; your help is always welcome. Scenery model additions in January include detailed complex models of KMKE Milwaukee WI Airport (B. Arthur), EDFP Ober-Mörlen (T. Polzer) and LFML Marseille airport (J Chatre), and various new objects like buildings for the city of Marseille (F. Carreel). Flightgear is nominated for "SourceForge Project of the month" February 2019. Voting is over, so keep your eyes open and visit the Sourceforge Blog for updates. If you want to participate in the screenshot contest of February, you can submit your candidate to this forum topic. Be sure to see the first post for participation rules. For purposes of convenience and organization, after all the entries have been submitted, a new forum topic will be started containing all shots in an easy-to-view layout. The voting will then take place there. Once the voting has finished, the best screenshot will be presented in the Newsletter edition of February. 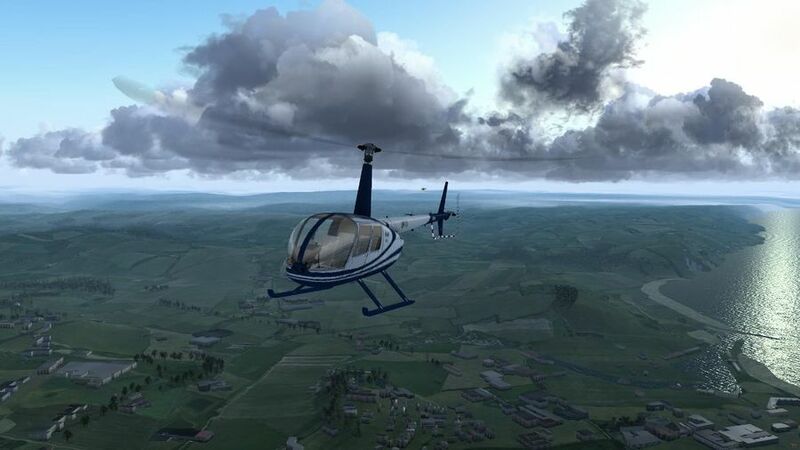 Thanks for reading FlightGear Newsletter January 2019!